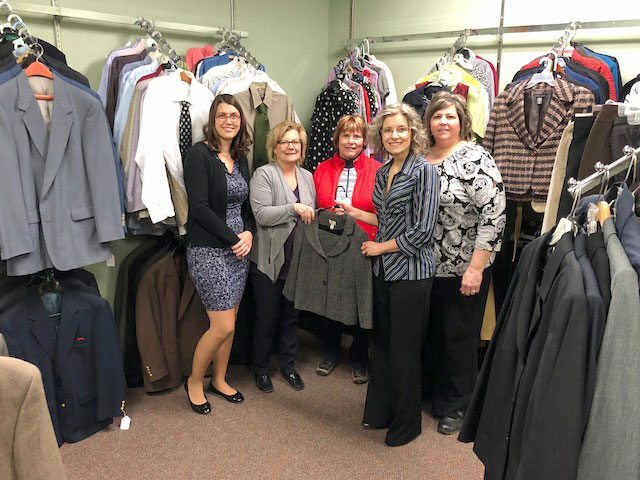 SHOWING OFF THE new Career Closet at Bay College West are, from left, Iron Mountain-Kingsford Zonta Club members Andrea Mashak, Nancy Finch and Patricia Staller with Bay West staff Laura Moloney and Tina Jensen. IRON MOUNTAIN — The Bay College West campus has launched a Career Closet, aimed at helping those seeking or entering a new job to be dressed for the role. This service provides free professional clothing to individuals preparing to interview or in need of bolstering their professional wardrobe. 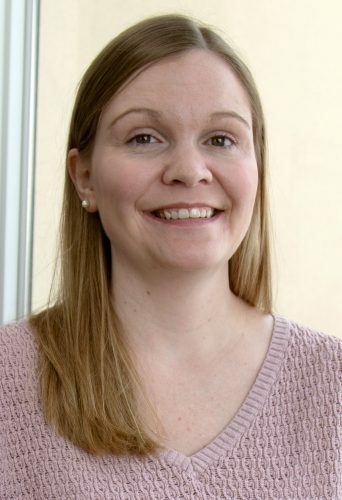 Laura Moloney, director of student services at Bay West, coordinated the effort to establish this service at Bay West. “Students have taken classes, passed exams, graduated in their chosen fields and are now ready to enter the workforce. We want to provide them with every opportunity to succeed, which includes looking presentable and ready to work,” she said. The Career Closet is open 9 a.m. to 4 p.m. Monday through Friday in Bay West’s student services office lobby. Bay College West has partnered with the local Zonta Club and the Zonta Closet to handle clothing for the Career Closet. Donations to the Bay West Career Closet can be taken at Finch Law Offices at 115 W. C St. in Iron Mountain. Donations must be in good condition and will only be accepted at the law offices 9 a.m. to 5 p.m. Monday through Friday. For more information about the Career Closet, call 906-302-3000.